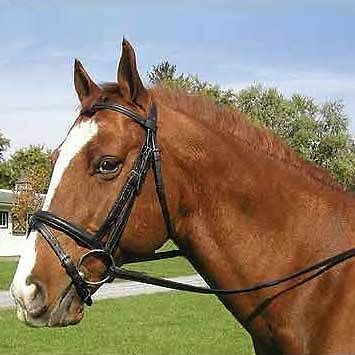 A premium dressage bridle made from English Bridle Leather by true craftsman with every attention to the finest detail! 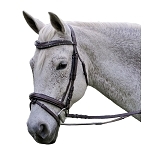 The Legacy Dressage Bridle is made of black premium smooth, supple English Bridle Leather (that's right, the leather comes from England). 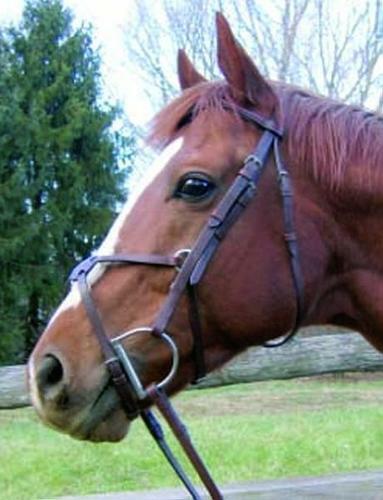 This bridle has a 1 1/8" wide padded caveson with flash, padded 3/4" wide brow and 5/8" cheek pieces with rein hooks. 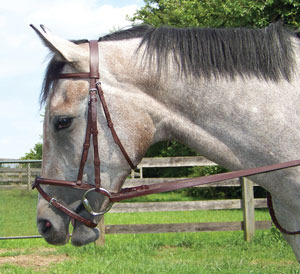 This bridle comes with 3/4" black web reins that have leather rein stops. 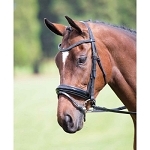 A truly premium quality competition bridle.